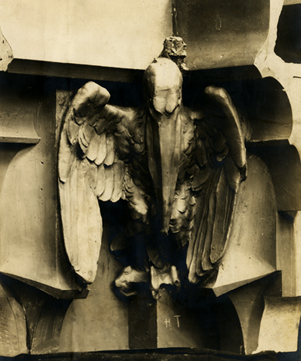 The contract for the Woolworth Building called for 7,500 tons-16.5 million pounds-of architectural terra cotta, one of the largest contracts ever commissioned for a single structure. 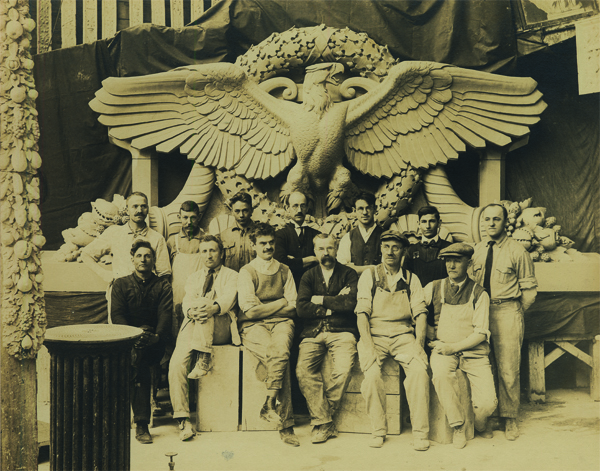 The project went to the Atlantic Terra Cotta Company, the largest manufacturer after it merged with three other firms in 1907, and was manufactured at its factories in nearby Tottenville, Staten Island and Perth Amboy, NJ. Terra cotta-or "burnt earth"-is a clay product that is fired to 2000 degrees Farenheit in a kiln. Samples of ornamental terra cotta produced by the Atlantic Terra Cotta Company can be seen in this case. 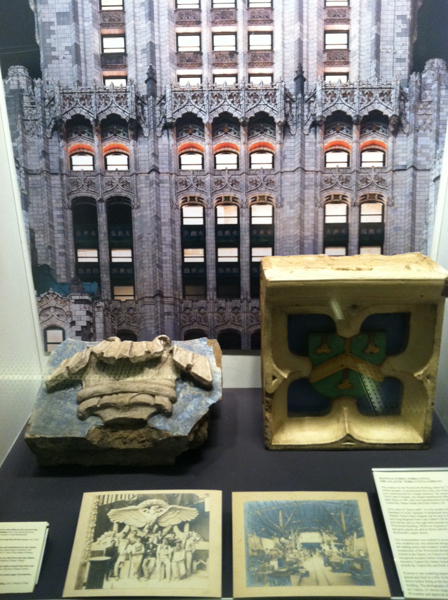 On the left is a surviving fragment from Cass Gilbert's 90 West Street, and the polychrome unit on the right demonstrates the color scheme chosen for the Woolworth Building. While not original to the building, the vibrant blue and green glazes are akin to those used for the decorative terra cotta on the Woolworth's upper stories. The ornamentation was created by accomplished sculptors and artisans who modeled clay into elaborate designs. 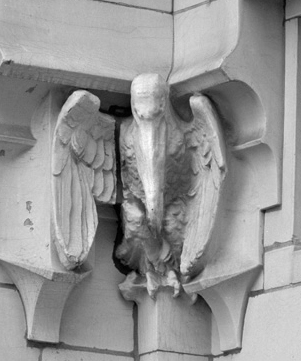 Edward de Csipkes was one of the leading artists and sculptors working at the company during the construction of the Woolworth Building. Born in Romania, de Csipkes trained at the Master Art School in Budapest and was an internationally recognized sculptor before immigrating to the United States in 1903. 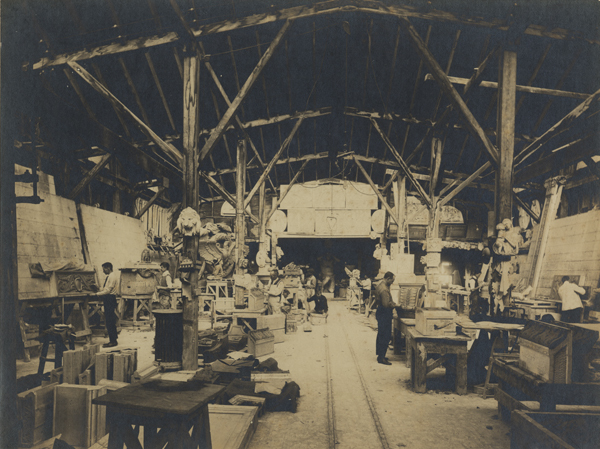 He moved to Tottenville, Staten Island in 1913 and began work as a modeler at both the Tottenville and Perth Amboy factories.